Alexander Wakefield of Bega Valley Shire Council is the 2019 recipient of the IPWEA Fleet Award. This award is presented to the highest ranked individual completing the Fleet Management Certificate for the year. 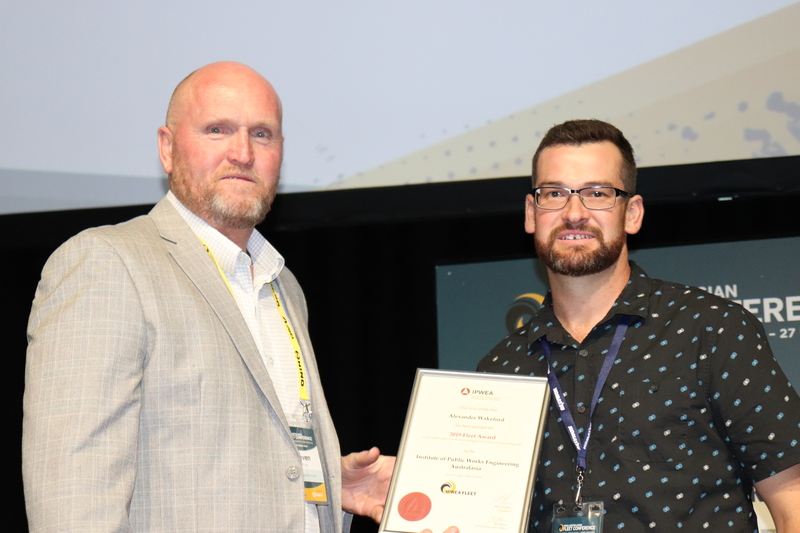 Alexander won complimentary access to the full IPWEA Australasian Fleet Conference and was presented with a framed certificate at the opening ceremony. 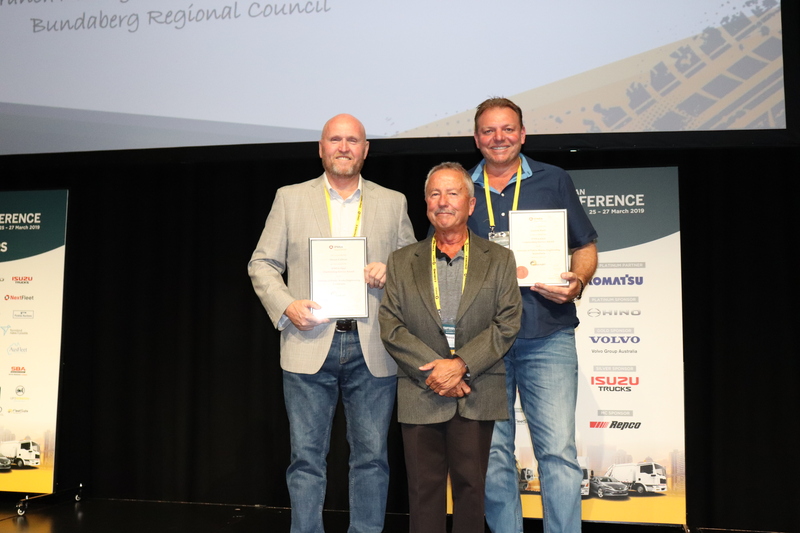 IPWEA FLEET Council Chair Steven Colliver and Deputy Chair Andrew Railz were awarded the IPWEA FLEET Outstanding Service Award at the 2019 Australasian Fleet Conference in Brisbane. The award is in recognition of outstanding voluntary contribution to the IPWEA Fleet Program and Fleet Community made by an individual. Thank you Steven and Andrew for your commitment and dedication to the industry. Read our wrap-up of the 2019 conference here.